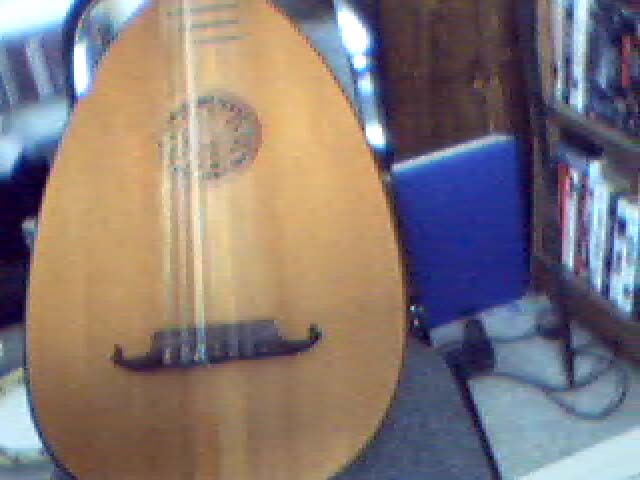 This is the lute that I'm (at the moment) borrowing from my school, UCF. It's got the coolest sound... probably just the way it's double stringed and creates weird vibrations... but still. 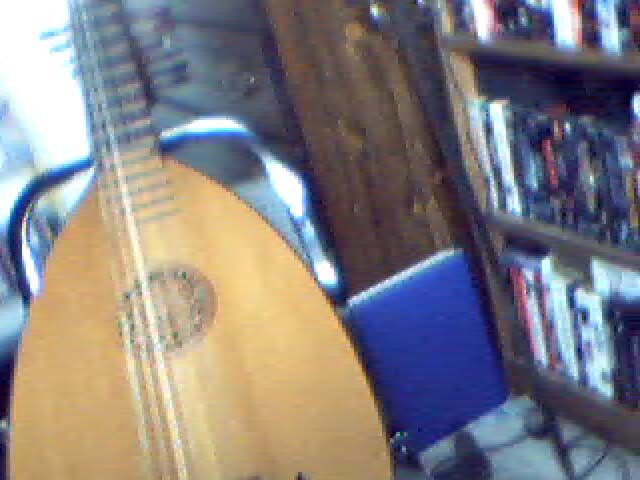 It's tuned almost the same as a regular guitar, so every once in a while at my Early Music Ensemble rehearsals, I'll break it out and start playing Beatles or Metallica or Led Zepplin or something.